PGIMER 2019 Result for MD/MS courses will be declared through online mode on 28th May 2019 for MD/MS. The result will be available two times in a year for January & July session. This examination will be organized for admission to the MD/MS courses. It is a national level entrance exam. 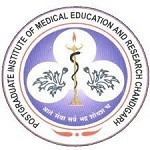 PGIMER exam will be managed by the Post Graduate Institute of Medical Education & Research (PGIMER), Chandigarh. Through this article, candidates can get complete information about PGIMER Result 2019. Below are some important points regarding the PGIMER Result 2019 including releasing mode, date & other details. The authority will declare the result MD/MS theory entrance exam on 28th May 2019 (July Session). For DM/MCH/MD Hospital Administration it will be declared on 17th June 2019. For MD/MS, candidates have to enter their login details to check the result. For DM/M.Ch, the result will be available in a pdf format, i.e. list of selected & non-selected candidates. Candidates can check the result in the form of category-wise merit lists. The result is most likely to be calculated on the basis of percentile scores and the percentile scores are determined by percentage. Fill your login credentials such as Registration Number (User ID) & Password. The result would appear on the computer screen. Save the result and take printout of the same for further use. Rule-1: Higher aggregate marks in M.B.B.S Examination: The candidate who would have scored the higher amount of aggregate marks in his/her M.B.B.S examination would receive the higher rank. Rule-2: Age of the Candidate: The candidate who would be older in age would be given preference over other and assigned the higher rank. Rule-3: Minimum Percentile: The candidate who would score the minimum percentile as per their category would be assigned higher rank. Candidates who qualify PGIMER exam by scoring minimum required percentile will be called for PGIMER Counselling 2019. Candidates will be called in order of their merit ranks. The will be conducted in offline mode, i.e. candidates will have to be physically present at the venue at the time of counselling. Only those qualified candidates whose names appear in the merit list will be eligible to appear for counselling rounds. PGIMER 2019 Result is a significant event as on the basis of the results the subsequent events of cut off and merit list are based. A candidate has to get good scores in the result in order to clear the cut off, get enlisted in the merit list and become eligible to partake in the counselling process. If you have any other queries regarding PGIMER 2019 Result, then you can ask your queries in the comment box below.